Feelings Parents Have When The Light Bulb Goes On? 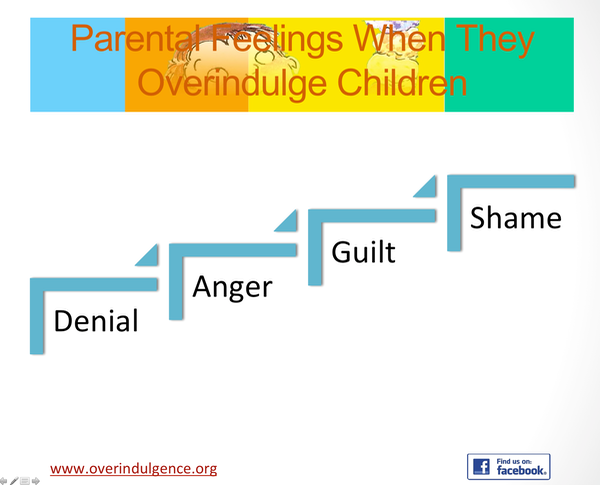 Parents go through a range of emotions when they realize they have been overindulging their children. 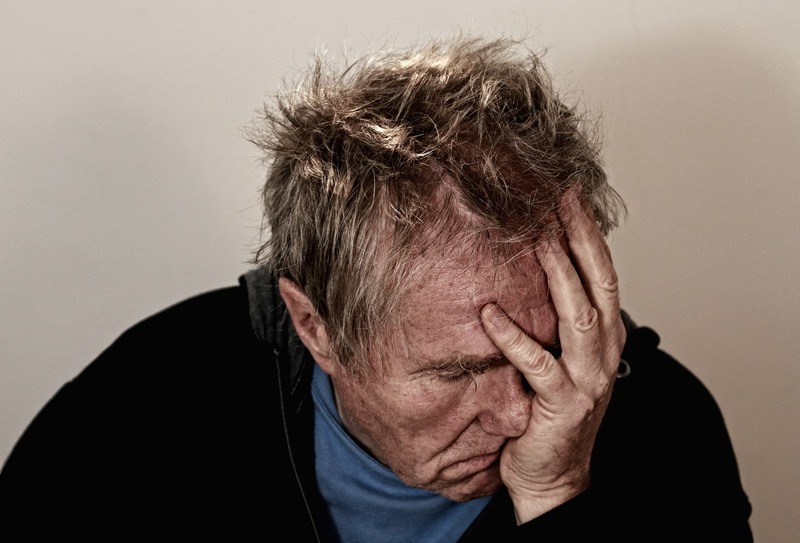 Guilt can paralyze or it can generate action. It is important that the guilt parents feel from realizing they have overindulged their children motivates them to pursue a new course of action. 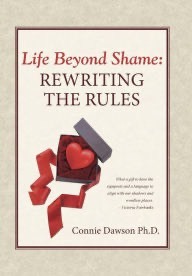 My coauthor Connie Dawson in her book titled “Life Beyond Shame: Rewriting The Rules” writes the following about guilt and shame. “Guilt is about behavior, which I can change. Shame is about personhood. Shame means that I, myself, am wrong. Not just wrong. Faulty. A mistake or error in judgement on my part simply broadcasts my shame.” Like guilt, shame can be debilitating. Rather then let this overindulgence shame paralyze, use it to motivate! I Have Overindulged My Children - What Do I Do? As a parent I know you are concerned and do not want to overindulge your children, but you may not know what to do instead. You may not know whom to ask. Here are a few “rock solid” things you can do to avoid overindulging your children and thus avoid the damaging effects of childhood overindulgence. ü There is more help about avoiding overindulgence in How Much is Too Much? 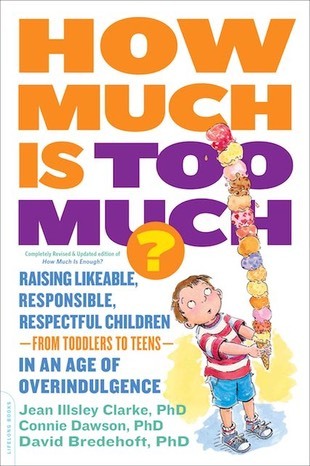 Raising Likeable, Responsible, Respectful Children – From Toddlers To Teens – In An Age of Overindulgence (2014, DaCapo Press Lifelong Books). The Test of Four is a tool that helps parents and children learn about what is enough. It guides adults and children towards personal responsibility and self-control. It also encourages clear thinking and good decision making. ü5 Tips for Parents to Avoid the Damaging Effects of Overindulgence — In this article, Jean Illsley Clarke discusses the concept of overindulgence, offering five tips on how to recognize it and what to do about it. 5. When In Doubt Ask For Help! ü Find a family life coach. Sometimes you need more than a friend’s advice. A family life coach can help you. ü Find a therapist. Sometimes you need expert help to work through longstanding patterns of behavior. Psychology Today has an online link to help you find a therapist near you. Photos from Pexels Lisc. CCO; Graphic by David Bredehoft.